A new five-year contract to provide roadside assistance services to Groupe PSA has been signed by the RAC. 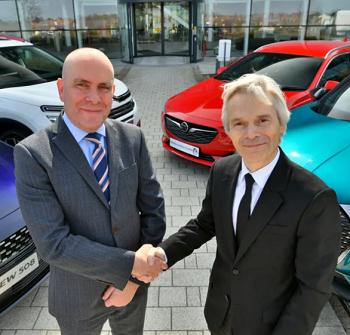 The deal, which was won following a competitive tender process, will see the RAC’s patrols supporting drivers of more than half a million Peugeot, Citroën, Vauxhall and DS cars and vans, and covers both consumer and fleet customers driving in the UK and continental Europe. RAC has been selected due to its quality and service at the roadside, its focus on customer satisfaction, and its data and digital capabilities that are set to improve the service delivered by each manufacturers’ development and dealership teams. Drivers of Peugeot, Citroën, Vauxhall and DS vehicles will benefit from significant investments from the RAC, starting with its ‘All-Wheels-Up’ recovery, which is being rolled out across its fleet of breakdown patrol vans. The technology allows RAC patrols to recover the vast majority of vehicles that cannot be fixed at the roadside, including for the first time SUVs, vans, automatics, 4x4s and even electric vehicles – all of which can be done from a single van, removing the need to always send for a flatbed trucks. It will be followed by further service enhancements that will be announced by the RAC later in 2019. “We were impressed by the RAC’s obsession with delivering a top quality and personal service to its customers, and believe its digital and fault data analysis capabilities promise to make the lives of drivers of our vehicles easier. With the shift to electric and more connected vehicles, the automotive and mobility sectors are changing rapidly and we are confident the RAC is the right roadside assistance partner to support us,” said Groupe PSA parts and service director Richard Dyson. As part of the contract, the RAC will also be providing its technical knowledge of Groupe PSA vehicles – both past and present – directly to various teams within Groupe PSA companies, including to dealerships and product development teams, to help in diagnosing and fixing faults more quickly than ever – delivering a better service to drivers. The contract between Groupe PSA and the RAC commenced on March 1 and runs for five years.